If you're like me who enjoys books (regardless of language) chances are you'll be looking for a nearby bookstore. 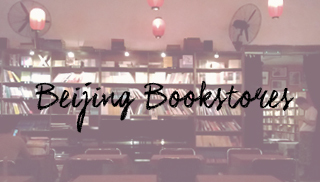 To save you the trouble of finding bookstores I've shortlisted five bookstores you can visit in Beijing if you are pressed for time. Pro tip: If you're looking for a particular book or topic you can ask for assistance at the ground floor where they issue you a receipt-like book card in Chinese (I told you its like a library.) Its best to have the written Chinese title of the book you are looking for least you want to get lost in translation. 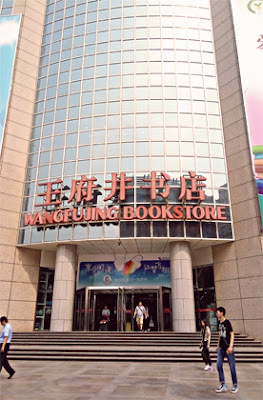 This is further down the road from where WangFuJing Bookstore is located if you're coming from Wangfujing Station. This store is the only bookstore in the area*. 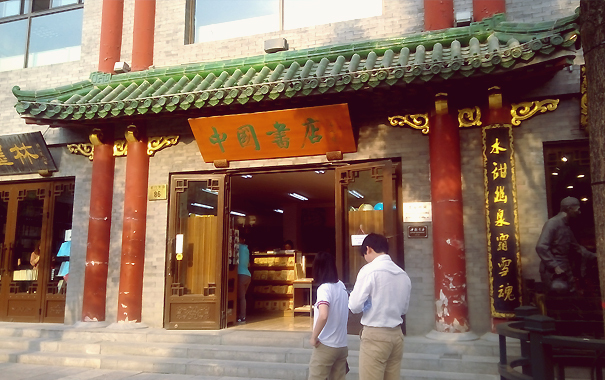 The first thing you'll see as you enter are its calligraphy supplies and postcards (Beijing Post is down the road if you want to send a postcard.) Their ceramic brush holders come in all sorts of styles and its worth checking out if you're looking for small souvenirs. The books they carry are all in Chinese and mostly history books and calligraphy guide books. *Qianmen Avenue is also expecting to have a branch of Page one in that area soon. The Bookworm is my favorite among all the bookstores I've been to in Beijing. It is a pub/restaurant- library sans the rowdy crowd. 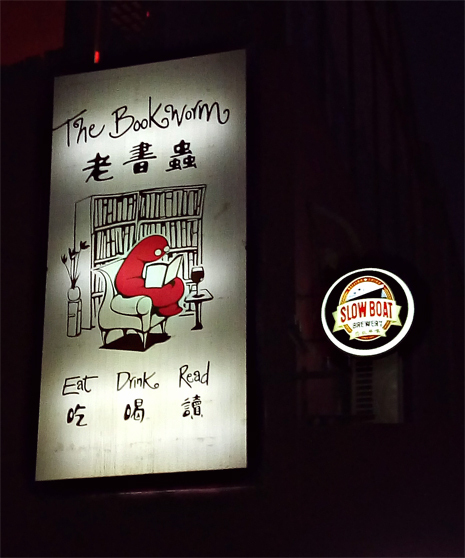 As its name suggests, its an ideal place for bookworms to eat, drink, & read. The vibe of the place tells you that they're mostly a library but they do have a quaint section where you can buy books. They also have a book borrowing program but I am not too keen on the details. I'd say their collection of books are 60% in English because they cater to mostly English-speaking customers (hence the continental menu.) One would have to go around the whole restaurant to browse the entire collection. I spent one evening here and had a pleasant experience both reading and dining-wise. If I had more time I wouldn't mind getting lost in a book with a drink to boot. 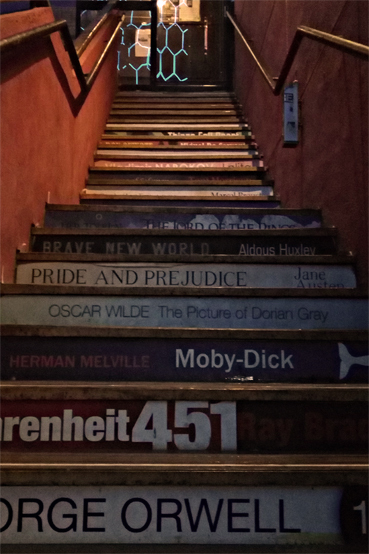 If you're coming from SOHO Complex cross the street and past the parking entrance and you should find the Bookworm. Pro tip: There's a great view of the Sanlitun area if you look in the right areas.